Untill a further notice, this GeoGebra book is only a learning process how to make a GeoGebra book. The materials have been published earlier in Finnish as problem pages in the magazine Dimensio 2010-2016. The work sheets have been translated and modified for this effort. Dimensio is a magazine published by the Association of Teachers of Mathematics, Physics, Chemisry and Informatics in Finland. 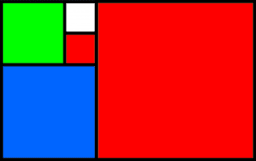 The subjects of the problems have no limits, but are mostly geometrical. All pieces of advice and comments will be highly appreciated. Send your contributions to Hannu: korhonen.h(at)gmail.com.